Guys. Seriously. I have a problem. I play with LEGO products, and I’m no good at keeping track of pieces. I’m reviewing some books from No Starch Press with LEGO directions and inspiration, and there are bricks all over the place. Kids, cats, a spouse, and fingers that shake a little too often add up to be a huge mess, and lots of hurt feet. But I get to do it for work, which is awesome. It just takes a lot of time. 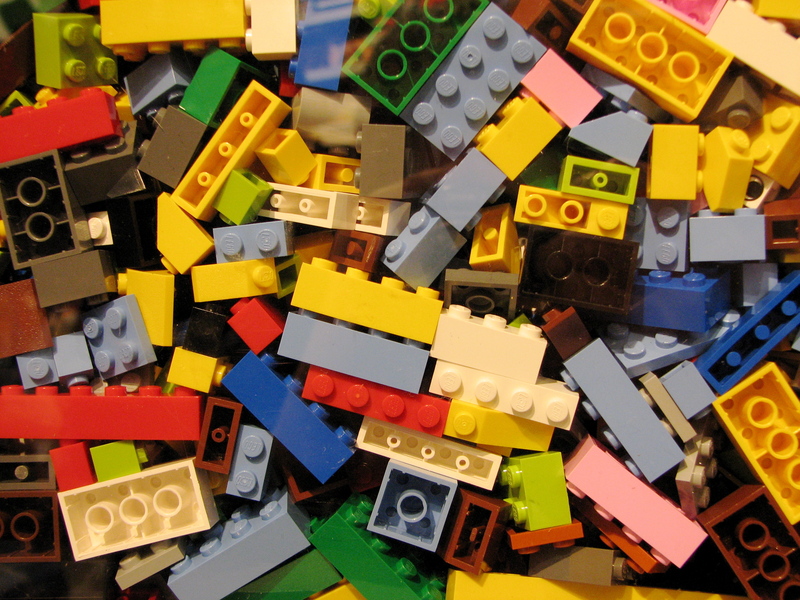 The worst part, though, is that LEGO bricks make me think I’m going insane. I count the pieces out. I separate them into piles, and stack them nicely, and follow the directions. And I’m missing a piece. A specific piece. I know I got the damned thing out, because I had to disassemble something else to get it! Just gone. I asked the Girl to help me look for it. We searched the table, all the piles, the floor, the cat tree (just in case), and then gave up. I only have one of that piece, so it’s worth starting the search over. I go back to the thing I took apart, and there it is. Still attached to the unit. Still there, because I never took it off. I swear I took it out, but no. I’m wrong. My brain is faulty. Mfhsdifhr. It feels like a big deal, so right now, I’m taking a break. I’m counting the number of people disturbed by me losing this piece. It’s just me. My daughter thought it was funny, but kindly tried her best to not laugh at me. She likes digging through my LEGO bricks anyway. I go out of my way to get weird ones that she’s never used, and she likes to put them together in new ways with me. So, no harm done. My pride got a tiny bruise. But I got some serious happy out of work! Go life! Go working at home! Go back to bed, before I use too many exclamation marks! Or go back to work. That’s okay, too. After all, this time it’s minifigs. You can have my Legos, gladly, Rory. Dude. I would totally pay you for shipping. But only if you are serious, and totally sure.